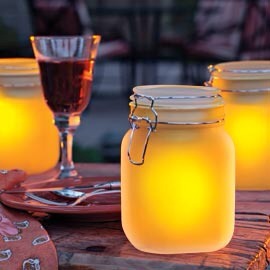 Do you love these solar jars? I do too but at $20/pop plus shipping they are pretty pricey. 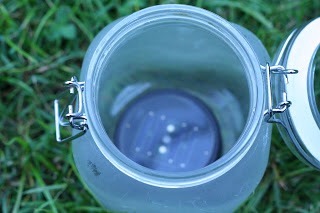 I saw this cute idea for making a solar jar here and wanted to try it. 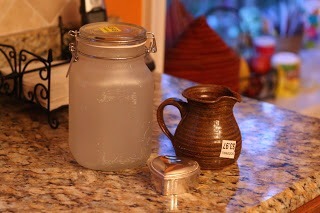 I found this jar at Goodwill and knew it would make the perfect solar jar-it was already frosted and only $1.97! I just needed to find a solar light. 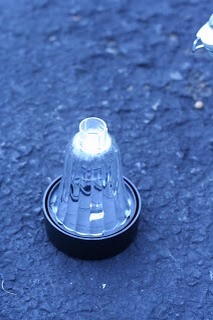 I found this individual light at Ace Hardware for $4. It easily popped apart and I just put it into the jar. I took the clear plastic part off. 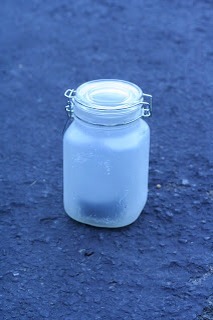 The tutorial says to mount it to the top of the jar but I didn't do that. 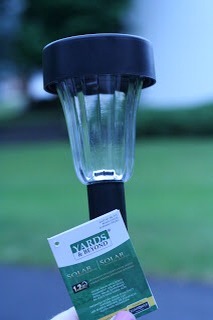 I may have to flip it over from time to time to make sure the solar cell is getting charged. It looks even better when it gets really dark out but then my photo wouldn't have come out. I like how it turned out,even though it doesn't have the same amber glow as the inspiration jars. 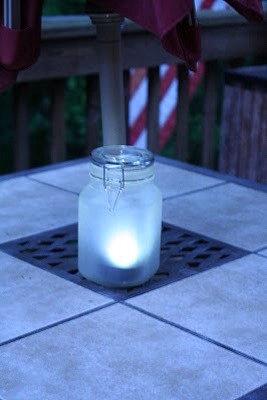 I can experiment with different jars and solar lights.